Earlier this week as a Knicks fan I had no interest in the draft. We traded away our picks years ago, so I would just be watching other teams get better or we pull of a stupid trade. But that was before Phil! The day before the draft he pulls off a trade that I could not be more excited about. 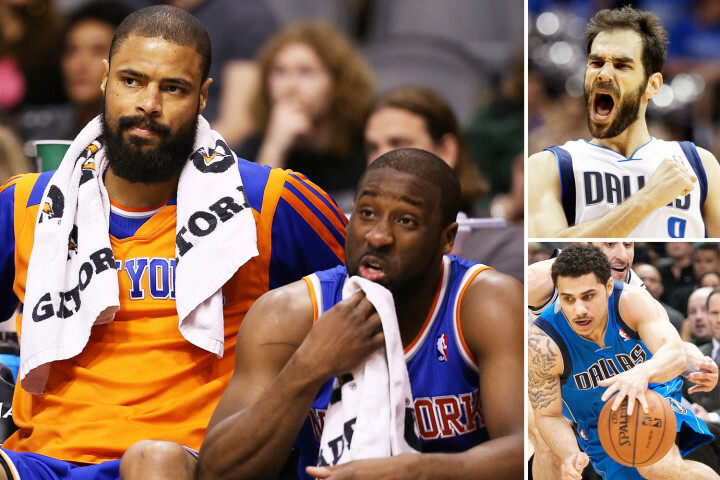 The Knicks traded Chandler and Felton to the Mavs for point guard Jose Calderon, shot-blocking center Samuel Dalembert, point guard Shane Larkin, shooting guard Wayne Ellington and two second-round picks. The two picks were the 31st and the 54th. Felton was rated as the worst starting point guard in the league. All season long he looked out of shape and he couldn’t play D on a college guard if he really tried. A long with the gun charges that he caught while on the team. I think phil wanted him gone from the first day he took over. Tyson played good last year for the New York But it looked like he gave up this year. In exchange we got one of the top assist point guards in the league (Calderon), a top 10 shot blocker (Dalembert) a first round pick last year (Larkin) and a bench player in Ellington. Whats makes this trade even sweeter is the 2 picks they acquired also. 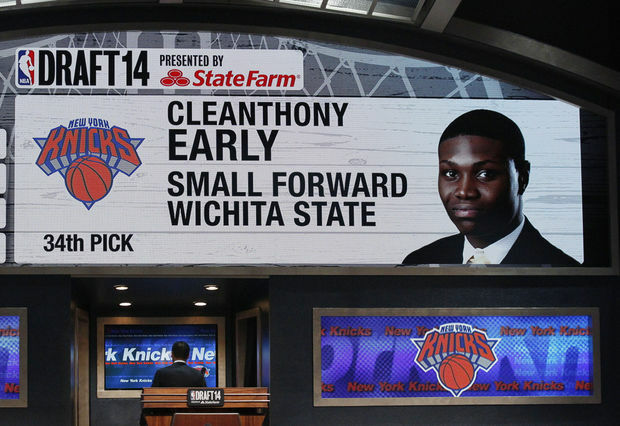 As the draft got into the 20’s Cleanthony Early’s name started to appear on the big big board. This is a man who had 31 against runner-up Kentucky in the NCAA tournament this past year. He went 65-6 in 2 seasons and 35-1 this year. Surely this 6’8 inside, outside scorer would get picked in the first round. He didn’t at all and dropped to the 34th pick. I was thrilled as they announced his name as a future Knick. Carmelo or not Early can help the Knicks right now. He forms a good young group in Larkin, Hardaway Jr and Shumpert. With the 51st pick they select the Greek freak’s Brother Thanasis Antetokounmpo from Athens, Greece and the Delaware 87ers of the NBA D-League, and they brought the rights to Louis Labeyrie, the 57th overall selection in the 2014 NBA Draft from Indiana for cash considerations. Labeyrie, 6-10, 200-pounds, is a 22-year-old from Gonesse, France. This draft clearly shows that Phil has a plan regardless if Melo leaves or stay’s. For the first time in at least a decade I can say we are headed in the right direction. Thanks Phil! This entry was posted in Featured, Sports News and tagged Cleathony Early, Dallas Mavericks, Franchise, Jose Calderon, Minbender Entertainment, NBA Draft 2014, New York Knicks, Phil Jackson, raymond felton, Samuel Dalembert, Shane Larkin, Thanasis Antetokoumpo, Tyson Chandler, Wayne Ellington. Bookmark the permalink.